Ten Bars of 5-Star Chocolates Arranged in a Bouquet with Tissue Wrapping 22 gm each bar. 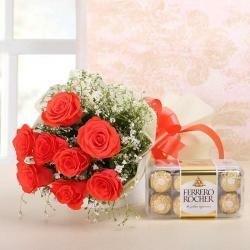 Let''s celebrate the occasion by sending this gift of 5-Star chocolates bouquet. Then for sure some magical words sweetly whisper from your receiver is Thank you for the lovely surprise. This gift combo should be the best bet for Valentine''s Day, Birthday, Anniversary, Mother''s Day and Many more. This theme product is suitable to every person for gifting purpose. When a Bouquet made with 5-Star Chocolates make an entrance, everything else fades away. 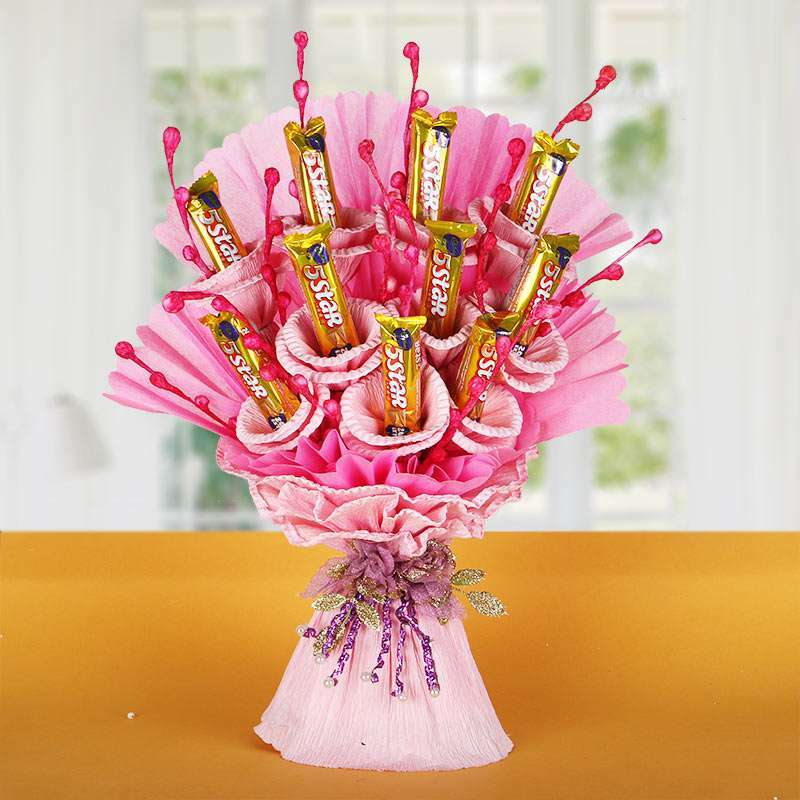 This Bouquet is made with 10 bars of 5-Star Chocolates and is perfect to surprise anyone. Fill your loved one''s heart with love and admiration through this astonishing gift. So, order this gift right away from Giftacrossindia.com and let your dear ones admire you. Product Includes: Ten Bars of 5-Star Chocolates Arranged in a Bouquet with Tissue Wrapping.